Why wait until you are fined or forced to do a waste audit? With rising waste costs, Great Forest CEO Ross Guberman tells leading industry news source Waste Dive that businesses should take control. This is in response to San Francisco passing an ordinance this past December requiring the city’s largest waste generators to conduct waste audits every three years. The goal? To increase compliance, reduce materials going to the landfill, help cut waste costs and move the city towards its zero waste goals. 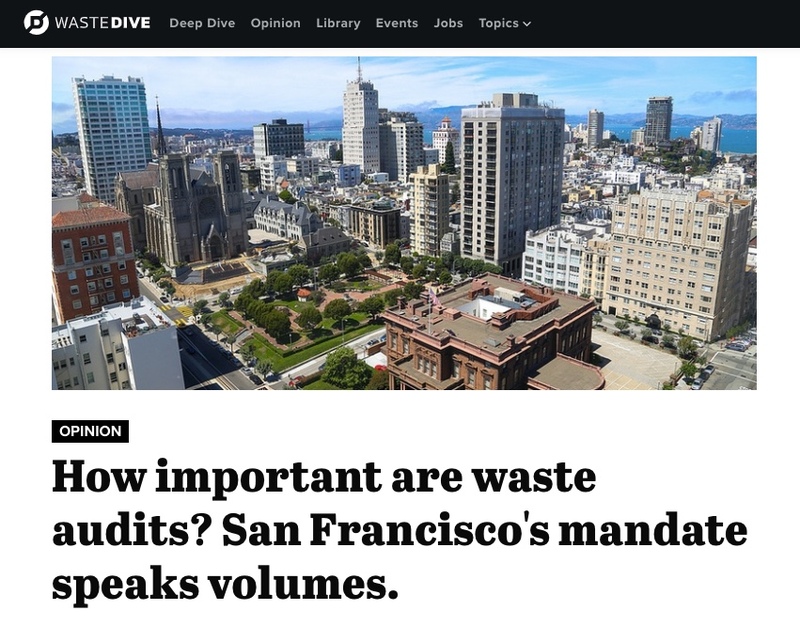 Approved unanimously, San Francisco’s measure speaks volumes about the importance and benefits of waste audits — and businesses should recognize this, too. Ross explains by breaking down the seven ways regular waste audits can help any business save money, reduce waste, and improve operations. Read the full story in Waste Dive or see our newsletter. This entry was posted in All and tagged waste audit, waste audits. Bookmark the permalink.